FSIP is excited to debut a new addition to their battery maintenance products…the Commercial Dry Steam Cleaner. This portable machine delivers powerful cleaning and performance in a compact and easy to use package. Its low pressure and high heat dry steam system uses less water than a traditional cleaner, making it the perfect tool to clean in or around sensitive electronics or harsh chemicals like battery acid. 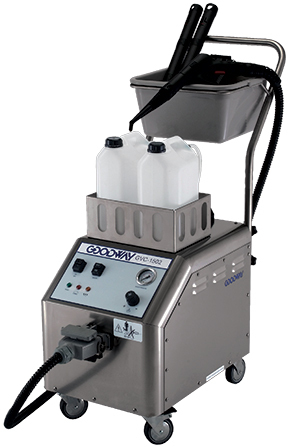 Click to learn more here about the Commercial Dry Steam Cleaner, or shop online at www.shop.fsip.biz.